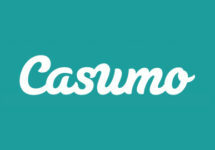 Casumo – The Super Snowball | Final Week! Last days of festive rewards! Claim a daily Prize Chest and enter the last Super Snowball Draw! Do not miss the last days of longest festive campaign that started on 7th November 2017. 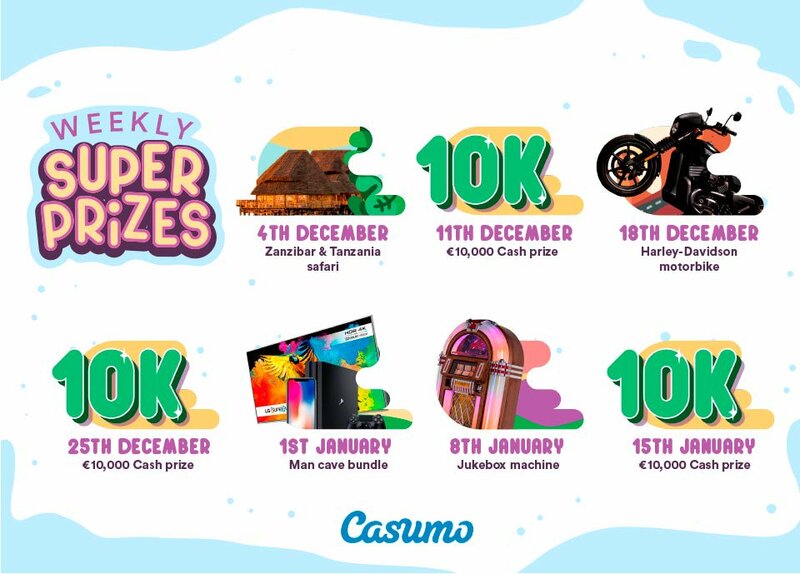 The Casumo team is waiting with awesome daily prizes as well as the last weekly prize draw with a single prize worth a massive €10,000 in cash. Open your Wooden Prize Chest every day and upgrade it at least three times to minimum Silver to collect enough snowballs and receive your ticket to the last weekly Super Snowball Draw. It has been an exciting seven weeks-long festive season marathon at Casumo Casino with daily Prize Chests and seven weekly prize draws. Claim your daily chest and upgrade it to minimum three times Silver to receive the ticket to the next weekly Super Snowball Draw where superb prizes worth €10,000 wait for the single winner. This is a multi-stage campaign that requires daily login and collecting snowballs for the weekly draw. Log-in to your Casumo account and get every day until 14th January 2018 a Wooden Prize Chest full of valuables and goodies such as Free Spins on selected games or Deposit Bonuses, both for next deposit. Upgrade your Wooden Prize Chest to one that can gives juicier rewards and Snowballs to compete in the weekly Super Snowball draw. Players will receive one free snowball every week and will have to collect minimum another three to receive their ticket to the weekly draw. Choose from Silver, Gold and Diamond Prize Chests depending on the deposited amount. 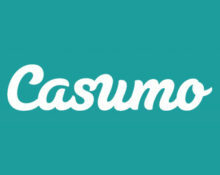 Wagering requirements apply to all daily prizes, subject to the Casumo Bonus Terms and Conditions. All players, who collect minimum 4 daily Snowballs in one week from Monday to Sunday will receive a ticket to the next weekly Super Snowball Draw. To get a daily Snowball, players have to upgrade their daily Wooden Chest minimum three times every week. One free snowball will be awarded every week. Only Silver, Gold and Diamond Chests contain snowballs. The draw will take place at the end of each week. On the first log-in the following week, eligible players will find a giant Super Snowball waiting for them. Crushing it will reveal whether they are the lucky winner of the weekly grand prize or other rewards. Cash alternatives for 100% of the prize value are available for all physical prizes. Launched in 2012, the casino is operated by Casumo Services Limited under licenses from the MGA Malta and UK Gambling Commission. On offer are on a mobile optimized site a extensive range of games from Netent Slots Bally, Barcrest, Big Time Gaming, Elk Studios, Greentube (Novomatic), Lighting Box, IGT, Microgaming, NextGen Gaming, NYX Interactive, Play’n GO, Push Gaming, Quickspin, SG Gaming, Thunderkick, WMS and Yggdrasil. The Live Casino tables are powered by Netent Live and Evolution Gaming.